Where were you the day that seeing movies* in theaters died? 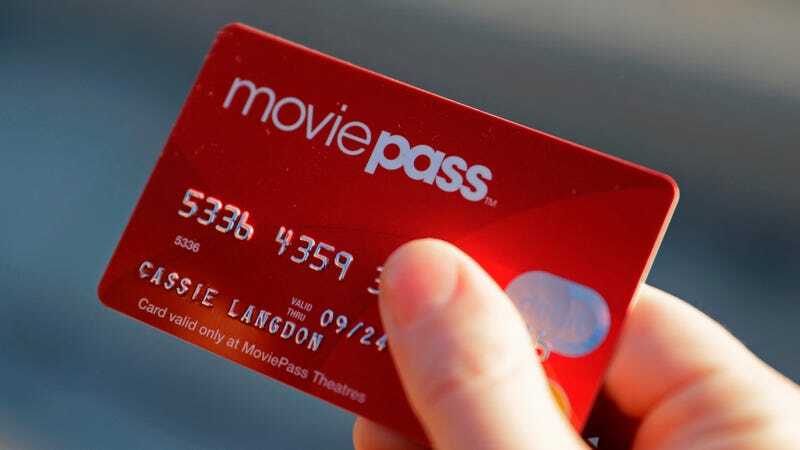 MoviePass has announced it will not raise its monthly subscription fee—but it will limit customers to just three movies a month. The CEO Mitch Lowe says the change will go into effect August 15, according to the Wall Street Journal. At $10 per month, that’s still a pretty great deal, given that one regular movie ticket costs you somewhere between $12 and $20 these days. But the company’s initial offering allowed customers to see up to one movie a day, meaning if you were really crazy, you could see 30 movies back-to-back for the sweet, sweet cost of roughly 33 cents each. I’m sure many people joined MoviePass because it felt like you were getting away with something, like one day, the candy store turned off its cash registers and just let people walk out with whatever they wanted, bags a’brimming with gummy worms and caramels. Easier than stealing, MoviePass was like a baby gave you candy. Now instead of candy, MoviePass is selling your daily dose of vegetables at a steep discount. Maybe people want super-cheap ugly carrots, though—Lowe says 85 percent of its users see three or fewer movies a month. “They will not be affected at all by this program, and even better, they’ll stop hearing MoviePass is going out of business,” says Lowe. Maybe so—but the golden age of MoviePas and our national fever dream is probably over. It was fun while it lasted.